Holly’s words, “Although I wore a smile, my heart and soul were dark. I was ruled by self doubt, insecurities and had given up the hope that I could ever change. Today I have given away 63lbs in exchange for HOPE, HEALTH, and HAPPINESS! Through the Habits of Health and my amazing coach I have the power and freedom to make my own choices, guilt free every day. There is a new sparkle in my eye, my dreams are alive and I wake up every day living them.” Can you relate? Message me. Amber was the person who was always going to “out exercise the fork”. Her sugar addiction and bad eating habits were out of control, but her love for exercise was keeping her somewhat stable in the weight department. After Amber’s 4th son was born, and life kept getting more and more busy and she realized she wasn’t ALWAYS going to be able to keep up. With this feeling, she would often be overcome with guilt and pressure. I was introduced to this program by a friend and lost 20lbs in 6 weeks. But, what she really gained was her health. In her words, “The Freedom to just LIVE is priceless and I have the energy to keep up with my children the way I want too”!! She now has incredible tools that she can pass down to her children, so that they won’t have to struggle the way she did for so long. I can relate! Tried to exercise off my weight. It didn’t work! Message me- I can help you! Trey dropped 105 pounds and Jenn shed 187 pounds. 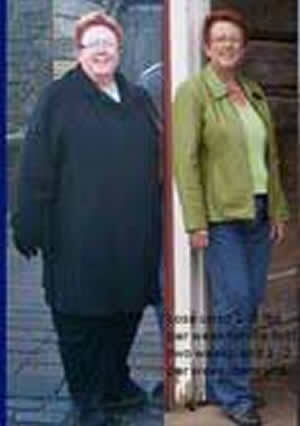 “After losing our weight our activity level sky rocketed. Trey started coaching our daughter’s soccer team, trained for a marathon & Jenn has ran 5K’s, 10K’s, a half marathon, obstacle races and participated twice in the Wild Canyon Games. We now consider ourselves ‘half the couple’ we once were and are not looking back.” Trey has maintained for over 3 years and Jenn has maintained for 2 years 11 months. Is it time for you to offer your family optimal health? Message me. 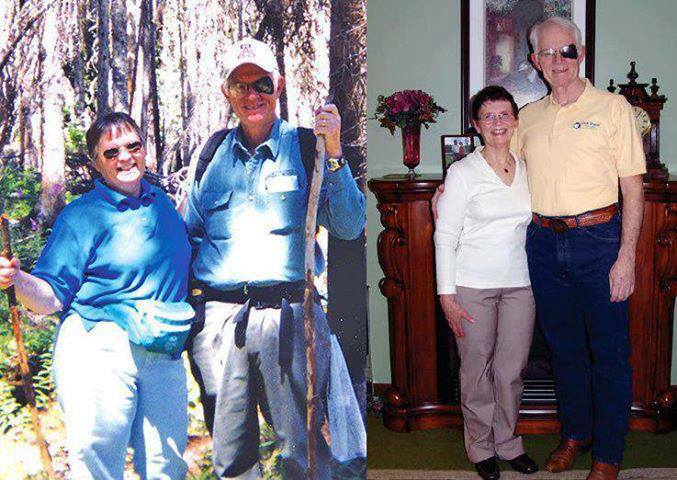 “Most of my adult life I thought I was a Healthy 285 pound guy. My defining moment came when my doctor told me I had typed II diabetes and high cholesterol. My doctors remedy was prescription drugs. 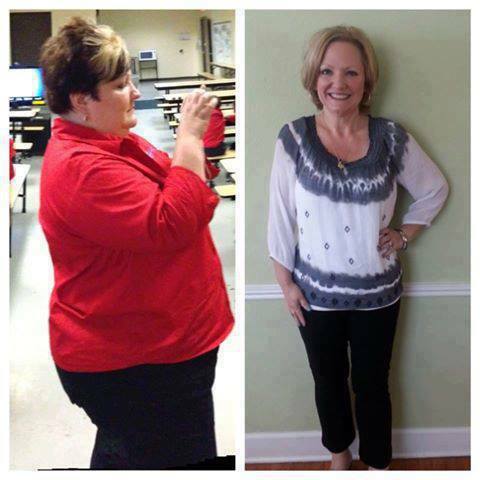 Instead I chose a program and lost 113 lbs., Now I’m living life Drug free!” Do you take medications that you could lose if you lost weight? Message me for details. 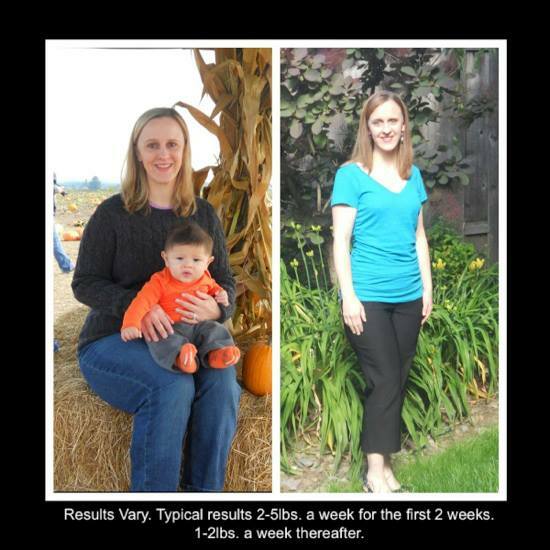 Kelly lost 35 lbs on the Nursing Moms program and finally had the energy to keep up with her little one. 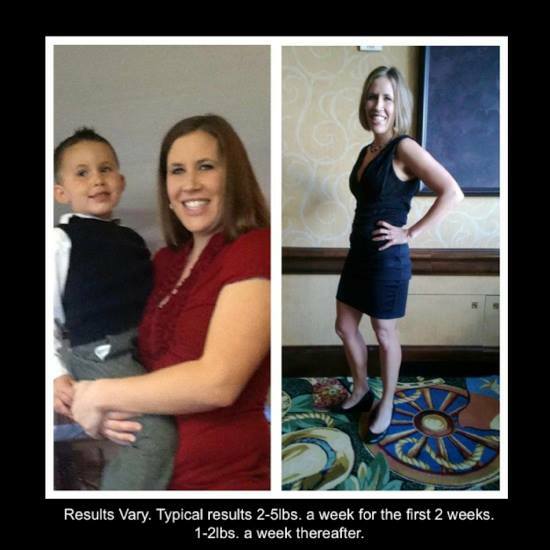 She now has more confidence and is excited to live as an example of health for her son! Whether you are still nursing or your baby is 13- we can help you get rid of that baby weight! Message me for details. Lexi lost *100 pounds, gone forever! AMAZING. She went from a size 22/24 to a size 6/8! Lexi said, “Feels amazing to get the weight off. I went from being unhealthy to being super fit. I love how I feel…. It’s hard to look at that before picture, but it makes me have even more gratitude that I’m not there anymore. *Results vary. Lose up to 2-5 pounds the first two weeks and 1 to 2 pounds thereafter. 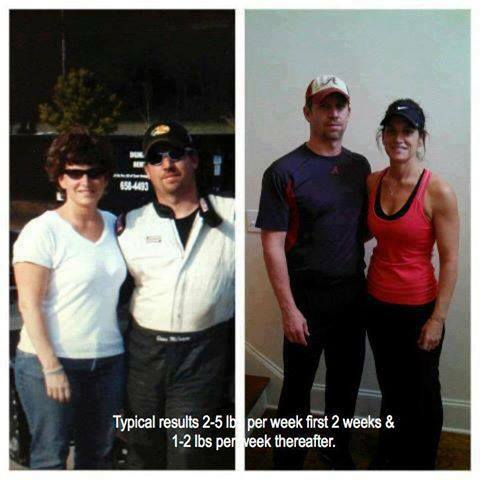 They have lost over 85 lbs together! Getting healthy along side your significant other, your next door neighbor, your best friend, your brother or sister, your mom or dad or your co-worker – in addition to working with a health coach – will increase your chances of success. Message me and I’ll help you all! What Patty and Mike learned was that this wasn’t a “diet” after all. It was adapting a healthy approach to life day by day! Message me. I can help! *Results vary. Typical weight loss is 2-5 pounds in the first two weeks and 1 to 2 pounds thereafter. Are you ready to love your life too with Optimal health? Message me to find out how. Beth lost 120 lbs. Now she has the energy to sail for hours where she gets quite a workout in blustery seas. Are there activities that you love that you can’t do? 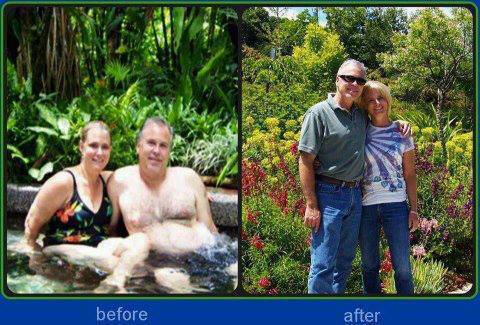 Ruth and Don each lost 70 lbs* and have kept it off. Don now competes in triathlons! Are you ready to get healthy and live the life you were meant to live? Message me and I will help you. 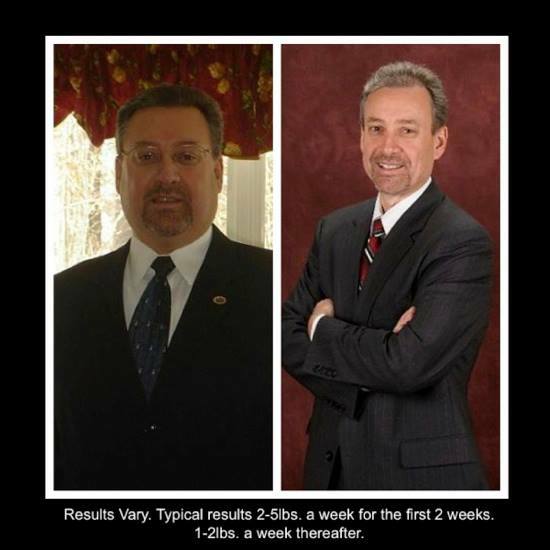 * Our clients typically lose 2-5 pounds the first two weeks and 1 to 2 thereafter.